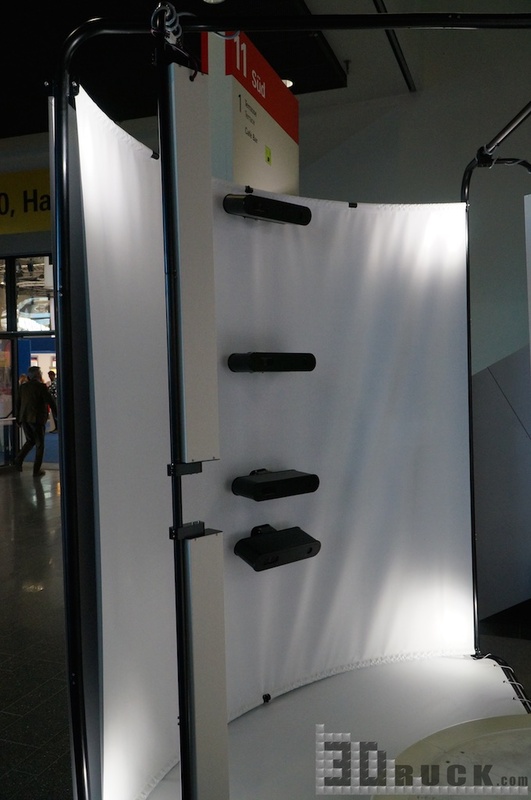 In an interview with 3Druck.com, Artec’s CBDO Leonid Volkov talks about the Shapify Booth full-body scanner. Already in late 2013, a manufacturer of 3D scanners, Artec, noticed that its professional handheld 3D scanner Artec Eva was the most common solution for 3D body scanning. 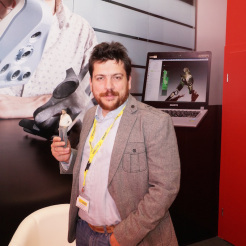 According to Leonid Volkov, the CBDO at Artec, over two thirds of global providers of the “mini-me” service use this handheld scanner to work with people. Leonid stressed in an interview with me that Artec Eva wasn’t actually designed for that and could be developed to scan tricky areas, such as hair, more easily. This is where the idea to develop a scanner for digitizing people came from. 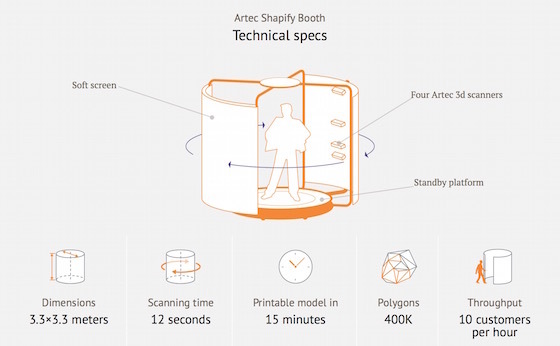 In record time, Artec engineers created the Shapify Booth and in May 2014, the prototype of the scanner was presented. 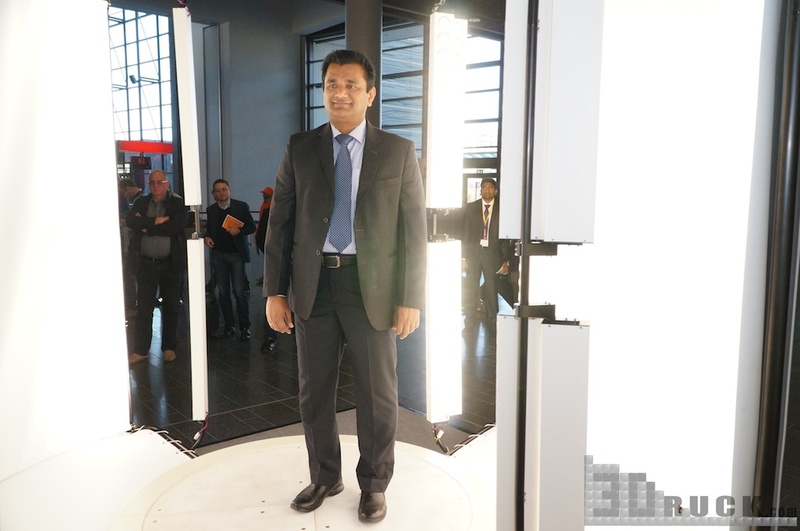 The Shapify Booth takes 12 seconds to fully digitize a person. Many of you may think that this is possible to do within fractions of a second using photogrammetry. Photogrammetry is the art of digitization, where many (mostly over 50) digital cameras scan a person. The drawback to this technology is the time it takes to post-process the 3D model. To make a 3D-printable model, a trained technician has to spend two to three hours editing the data. Here, in my opinion, lies the biggest advantage of the Shapify Booth. It comes with software that automatically converts a digitized person into a printable file within minutes. This reduces staff costs to the minimum. Providers can thus offer their services, for example, at shopping malls. Artec and ASDA have run a test launch in England already. Each service provider can choose how to print out figurines. 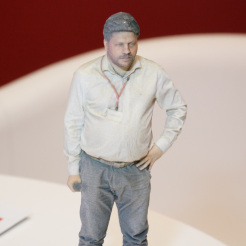 They can either use their own 3D printer, outsource it from a provider such as Shapeways or i.materialise, or send the figurines to Artec’s printing service. 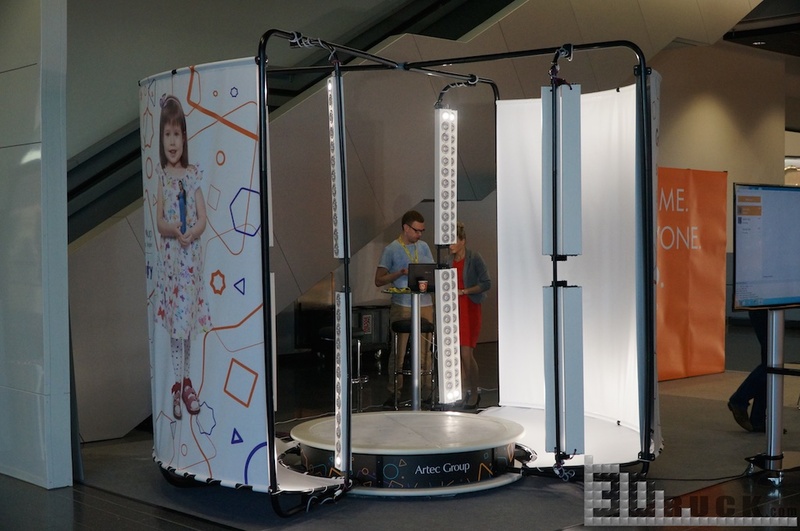 In 2014, a total of 24 Shapify Booths were made and sold in advance. Artec Shapify Booth features the specially developed scanning units Artec L2, which many service providers took great interest in. The scanner’s wide field view and accuracy would be of great use for many applications. Because of the high demand, Artec has included the L2 in its portfolio and the scanner will soon go on sale. In 2015, Artec plans to produce and sell over 300 Shapify Booths. Presenting the Shapify Booth, Leonid himself demonstrated how the scanner works. With a microphone in one hand and an exhibition pass on a lanyard around his neck, he served as the first model of the Shapify Booth. Leonid also showed us how weight loss can be documented by 3D figurines. Holding a printed figurine of himself made a few months ago, Leonid showed how his tummy had significantly decreased since that time. My congratulations on losing 10 kilos! Artec has offices in San Francisco, Moscow (software development) and Luxembourg, where the headquarters and production are located. Leonid Volkov is a native Russian and lives in Luxembourg. He has been Chief Business Development Officer at Artec for a year now. Before that, he worked as an entrepreneur in technology and software development for 14 years. Leonid is also committed to promoting democracy in his home country. Jakob Knabel is an enthusiastic reporter for 3Druck.com. With his camera, he is always on the hunt for news in the world of additive manufacturing and goes to all important exhibitions. Jakob worked as a printer and monitor product manager for one of the largest IT distributors worldwide for several years. It was during that time that Jakob developed a passion for 3D printing. Since late 2013 Jakob has been writing for 3Druck.com and studying at the FH Wien Entrepreneurship.